Imagine a luxury bodysuit that builds up the feminine shapes of a woman’s body, the Sculpt Leotard with the handcrafted retro bra cups highlights the bust while the waist and hips are accentuated by the precious satin. Now open your eyes, it’s real! 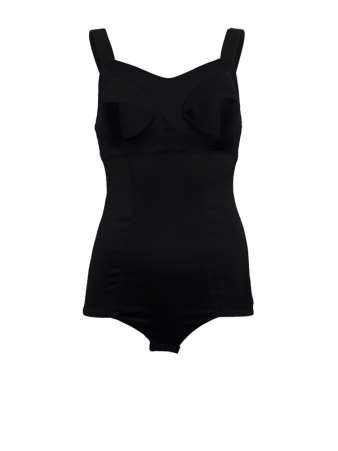 The leotard is fit to the body and has hook and eye closure at the crotch and zipper at the side. It is a complex piece of clothing that can be worn with mostly anything from your wardrobe, be it a high waist skirt or a pair of trousers. Plus, it is perfect for your private nights.